I’m a bit bored from bright colors, so I’ve decided to wear some calm colors clothes. 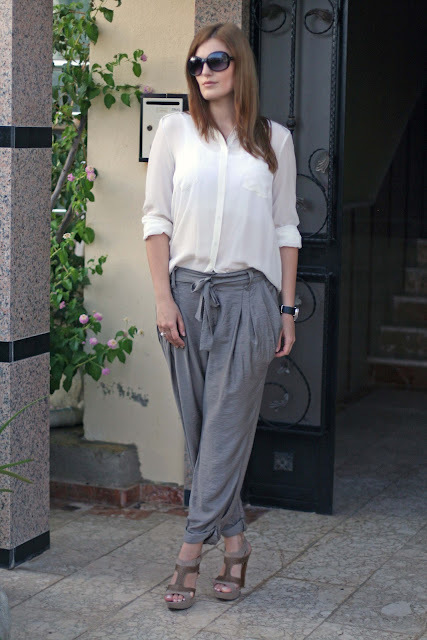 My white silk blouse and safari pants are made a perfect combination for this. I’ve added some simple accessories and my outfit is ready. Яркие цвета уже немного приелись, и мне захотелось чего-нибудь спокойного. Белая шелковая блуза и брюки в стиле сафари прекрасно подошли для этой цели. Немного простых аксессуаров, и образ готов! Herkese tekrar merhaba. Bugünlerde biraz değişiklik olsun diye parlak renkler yerine daha mat ve sakin tonlari denemek istedim.Beyaz ipek gömleğim ve safari pantolonumla güzel bir kombin yapıp aksesuarlarlada kıyafetimi tamamladim. Funny..I have been feeling the same way! I am wearing all black today's post and tomorrow is all ivory..I love this look! I am totally into over-sized and slightly baggy right now! i love your sheer top babe! Элегантно, изыскано, красиво! Ты такая стройная! Oh I love the colors love the outfit. The pants are simply gorgeous. Awww I love these pants! Such a classy look! I so adore these pants...wow! I need to buy pants like these! so chic! Hope you are having a wonderful day! love the way that outfits flows!!! bet it feels nice against the skin! I'm loving the neutrals, those pants are amazing. You look beautiful! love your pants dear! !super cute!! восторг!!! какие чудесные фото!!! мне очень нравится такой стиль: мягкие складки на поясе брюк чинос и свободная блуза. как всегда стильно и с большим вкусом! браво! Спасибо Диана, очень приятнополучать комплименты от такой стильной, как Вы! i love this look! the safari pants loove it!!!! I love the pant your look great. Your blouse and pants are great together. It's a very nice outfit. great style,great blog, do u want follow each other? I like those pants. It's casual but still very elegant. You look lovely. Enjoy your week. Your outfit is tres chic! I really like that you went with neutral colors that had interesting cuts in the fabric itself. I absolutely adore this look girl. Very chic and classy look. I love your pants! They look amazing on you. Very nice blog! Follow each other on GFC and FB? Beautiful pictures. Your outfit is really great. 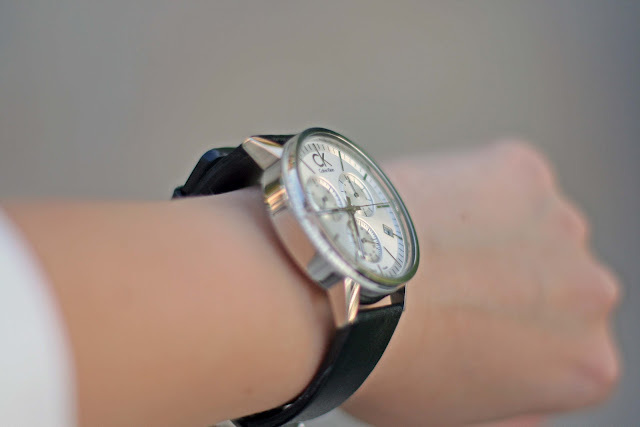 Beautiful clean outfit, your pants are casual and elegant at the same time and I love your watch! I love the effortless chic that neutral colors offer!Less is more! Really nice outfit! Very Chic!